In 1913 a young Jewish boy—I’ll call him RJ—was born to a poor, Hasidic family in a small town in Central Poland. He went to cheder, did well in his studies, and progressed to yeshiva where for a while he did well, too. But, like so many others at that time, he abandoned his religious, Hasidic upbringing when he was a teen and embraced modern life. Although RJ experienced certain remarkable events, there is nothing particularly extraordinary about his life story. It is likely that he died during World War II, and his short existence on earth, like the lives of millions of others, could quite easily have been forgotten. But a single act, one whose import he never could have imagined, caused his existence to live on: at the age of twenty, he wrote an autobiography. RJ’s autobiography is one of the hundreds submitted to YIVO Institute for Jewish Research for a competition they sponsored in the 1930s for Polish Jewish youth. 1 1 Collection of Polish Jewish Autobiographies: Record Group 4, Autobiography #3752, YIVO Institute for Jewish Research, New York. According to the competition’s eligibility requirements, contestants had to be between the ages of 16 and 22, male or female, and the minimum length of an autobiography was to be 25 pages. The competition carried several monetary prizes. Of course, neither YIVO nor any of the individuals who sent in their autobiographies knew that within the decade nearly that entire generation of Jewry would be wiped out in the Holocaust, and that consequently these records would serve as a memento of a lost community and lifestyle. For YIVO’s researchers of the time, the contest was intended as a way to study interwar Polish youth from a sociological perspective. I was first introduced to the existence of the YIVO autobiographies in 2012 by Professor David Assaf, with whom I was taking a class in Columbia University at the time. Assaf mentioned the book Awakening Lives, an anthology of fifteen of these autobiographical submissions, translated into English from their original languages of Yiddish, Polish, and Hebrew. 2 2 Jeffrey Shandler, ed., Awakening Lives: Autobiographies of Jewish Youth in Poland before the Holocaust (Yale University Press, 2002). I was intrigued and borrowed the book from the university library that very day. On a personal level, these autobiographies touched me: the honesty and vulnerability of some of these diarists made for a truly poignant read. But the even greater impact came when I examined them from a historical and anthropological standpoint. These autobiographies were absolute gems! Here, in (relatively) honest, straightforward descriptions, the day-to-day lives of hundreds of Polish Jewish youths were chronicled. Here on these pages was the Jewish experience of a world that no longer existed. 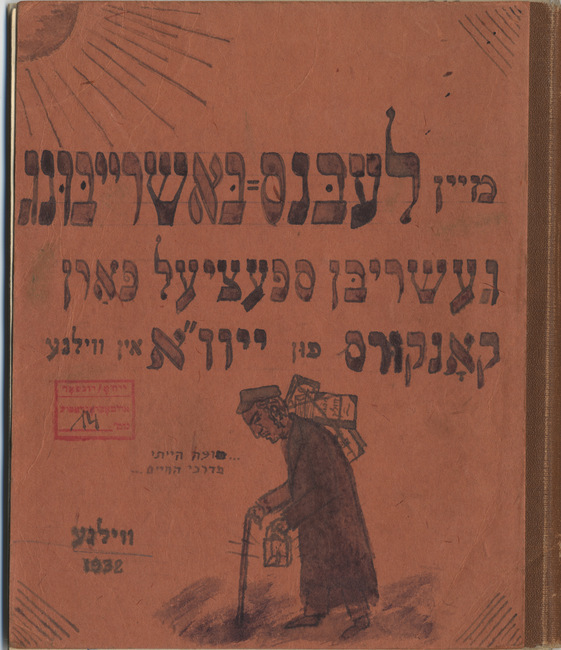 At the YIVO Institute in New York, I reviewed about thirty original Yiddish autobiographies. Housed in brown, cardboard envelopes and arrayed in file boxes, the autobiographies were written either in notebooks or on loose, now yellowing, pages. Some had little notes attached to them. A few of these notes implored YIVO editors to keep the identities of the authors anonymous. Many autobiographies still had the original envelopes they’d been mailed in and/or the self-addressed stamped envelopes that had accompanied them. My initial hope was to translate a number of works—to create a second Awakening Lives, so to speak. But I quickly realized that obtaining copyright for even a single autobiography would be a struggle. (Because YIVO had promised confidentiality to its submitters, getting rights for translation presents a particular challenge in this case.) Despite the difficulties involved, I haven’t given up hope of eventually compiling a new translated collection, but in the meantime, here lies this remarkable treasure—pages and pages of Jewish social history!—and yet, only a limited reading public can access them. If I can’t as yet contribute a direct translation, I feel compelled to, at the very least, offer an analysis/synopsis of one of these pieces. I want to amplify a voice from this part of Jewish history, adding to what is already known from literature, essays, memoirs, and newspapers of the period, as well as from contemporary scholarly articles and texts. And so, RJ’s memoir will be my starting point. To continue reading click here for part 2! For links to all the articles in the series click here. Collection of Polish Jewish Autobiographies: Record Group 4, Autobiography #3752, YIVO Institute for Jewish Research, New York. 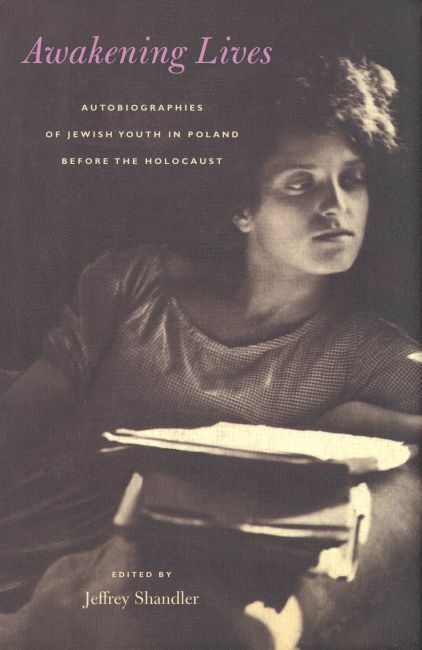 Jeffrey Shandler, ed., Awakening Lives: Autobiographies of Jewish Youth in Poland before the Holocaust (Yale University Press, 2002). Waldman, Rose. “A Hasid Turns Modern: A YIVO Autobiography, Part 1.” In geveb, January 2016: https://ingeveb.org/blog/a-hasid-turns-modern-a-yivo-autobiography. Waldman, Rose. “A Hasid Turns Modern: A YIVO Autobiography, Part 1.” In geveb (January 2016): Accessed Apr 22, 2019.